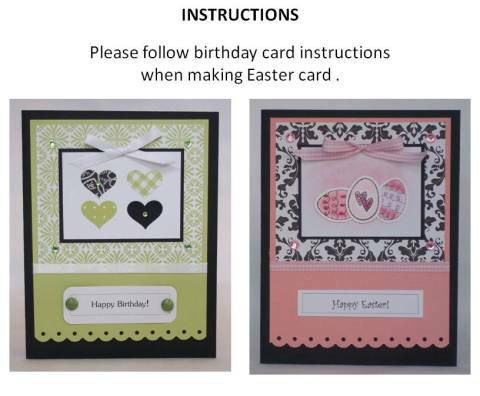 Find lots of handmade card ideas to make Easter cards that are cute. 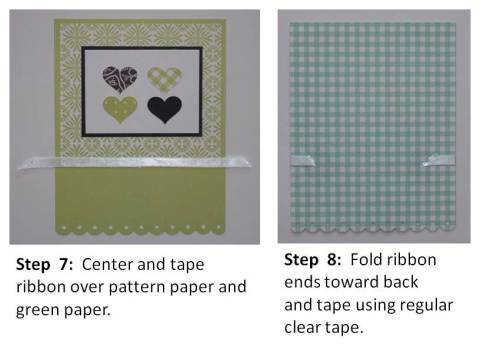 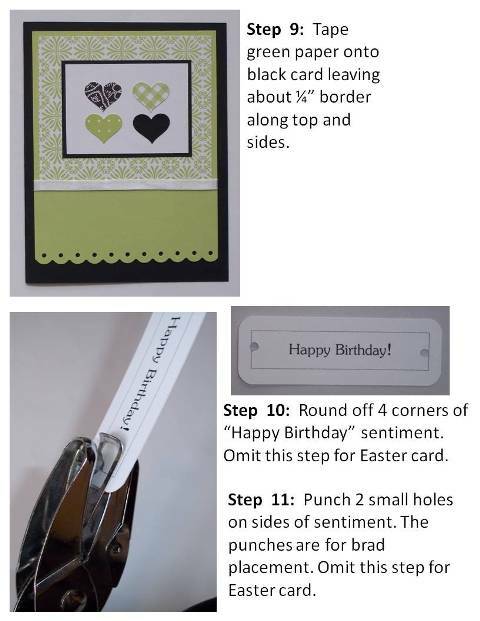 For your homemade card ideas, use egg stickers, a border punch and gingham ribbon. 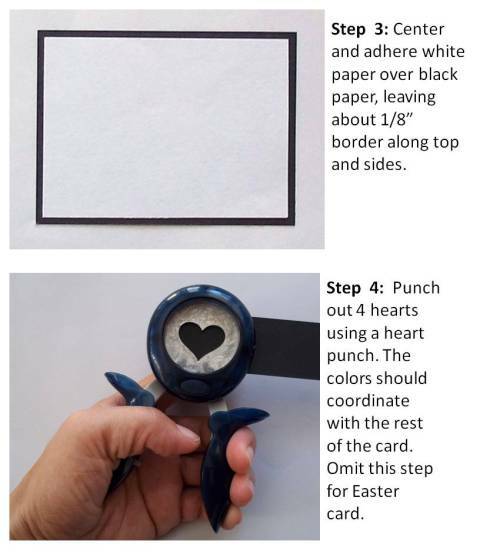 When thinking of Easter card ideas, or other hand made card ideas for that matter, I often incorporate a craft punch. 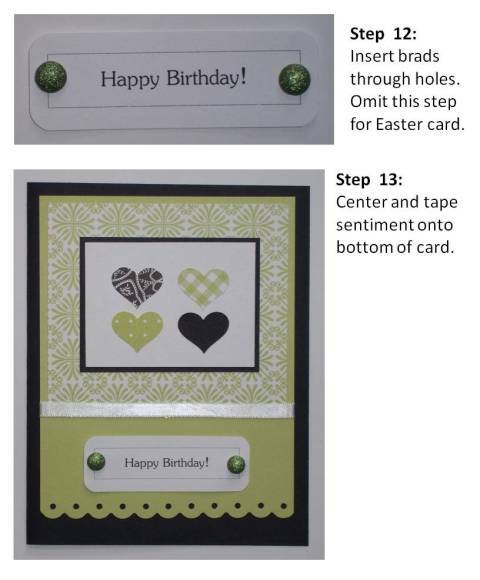 For this card, I used Fiskars' Threading Water Border Punch along the bottom. 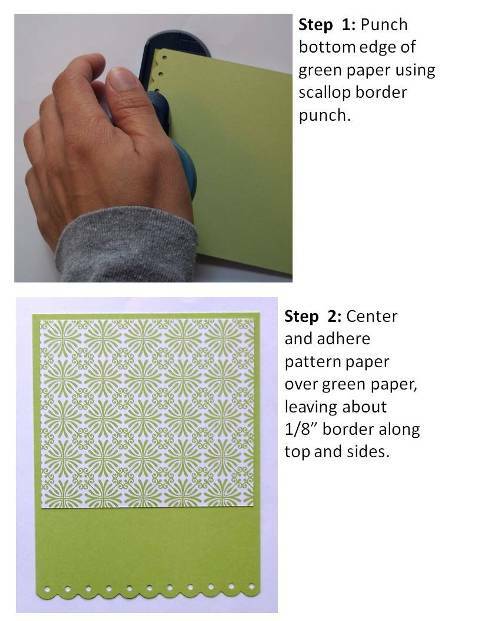 The pink paper contrasts nicely with black paper and enhances the design of the scallop border punch. 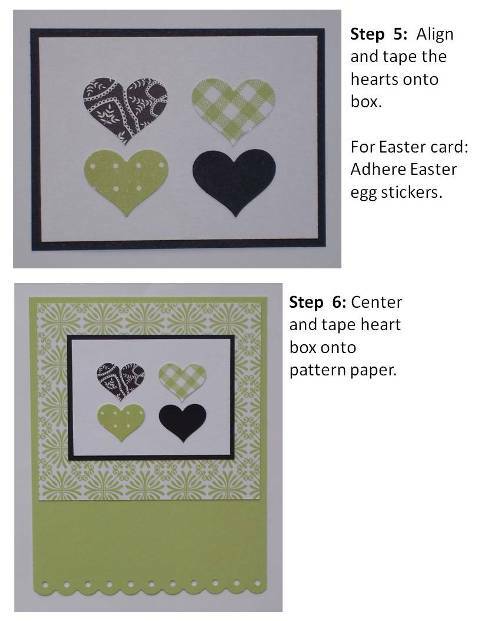 Black and white pattern paper coordinates well with most colors so I added pink to the color combination. 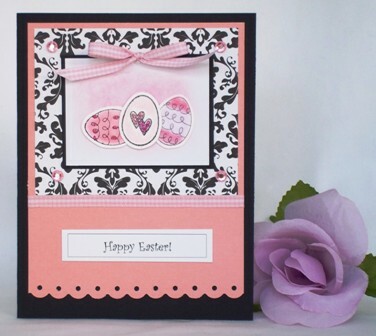 This hand made card is embellished with pink adhesive gems and gingham ribbon. 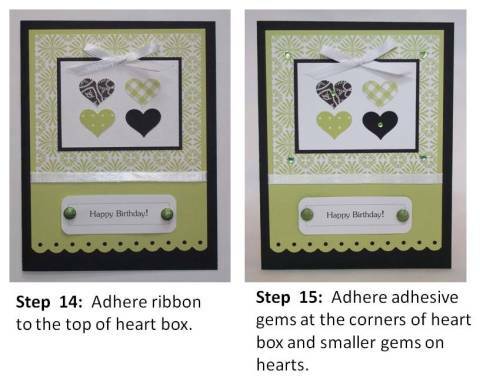 This is a versatile homemade card design and I've made a birthday and Valentine's day card with the same design.